Living in the past is hard. Dying in the past is incredibly easy. But he must survive, because he has a job to do. He must track down a murderer, teach his younger self how to be a good copper and change the outcome of a bloody rebellion. There's a problem: if he wins, he's got no wife, no child, no future. 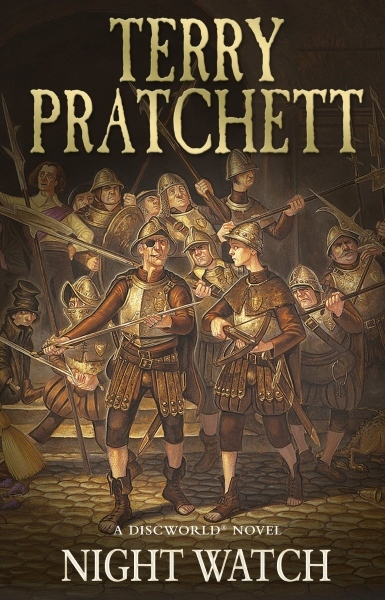 A Discworld Tale of One City, with a full chorus of street urchins, ladies of negotiable affection, rebels, secret policemen and other children of the revolution. Truth! Justice! Freedom! And a Hard-boiled Egg!